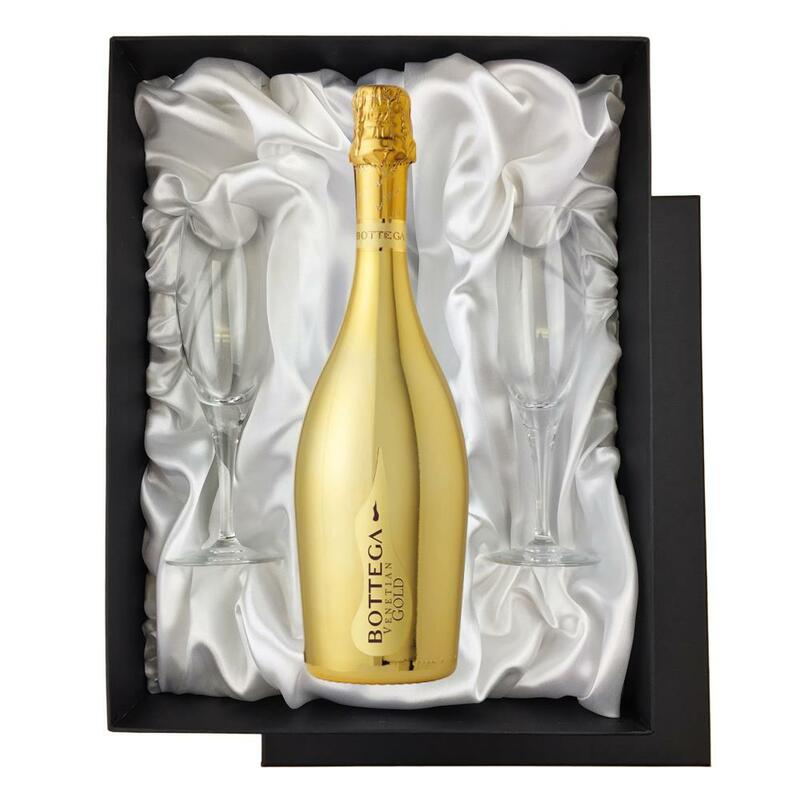 A bottle of Bottega Gold Prosecco 75cl Gift Boxed Prosecco and two beautiful Sensation flutes all supplied in a black luxury presentation box, lined with satin. Bottega Gold Prosecco has a fruity nose of Golden Apple and Pears along with flowery scents of Acacia and Lily of the Valley. It is made in Veneto, Italy and is fresh and aromatic. An ideal choice for apertif, dinners and parties.